and that was the case with both Tate Buchanan and Jaime Escobar in 'Just Add Argyle'. Everyone things Tate's nothing but a trouble maker or at least until they start to look a little deeper beyond what shows no the surface and everyone's sure that Jaime's just a player...one night stands, hook-ups with Mr. Right Now because he couldn't possibly just want Mr. Right...or at least so they think until Jaime sees Tate and intuitively knows that maybe...just maybe Tate with all his supposed trouble making ways is what Jaime needs in his life. Tate can't seem to hold a job and self esteem? Really, skip that because seriously his has been beaten, battered and mangled beyond belief...gee, thanks mom! But the one thing Tate's not is timid, cowardly or afraid to stand up for others. So he's been arrested a few times and he'd really rather not see the inside of a jail cell anytime soon, but that doesn't mean that he's going to just walk on by when he sees someone who needs help. Tate's just not wired to do that shtick. Jaime's a caregiver by nature. He wants to help the people in his life and one look at Tate and he's sure he wants Tate in his life so he's willing to do what he has to do, to get him there. This is definitely more a case of insta-lust than love at first sight...but, what the heck, things have to start somewhere, right? and besides...Tate's a ginger, so really can you blame the guy? Although 'Just Add Argyle' definitely got off to a bit of a slow start for me, somewhere around the halfway point I found things were picking up and the story was not just holding my attention but grabbing it. The interaction between these two was feeling more believable and there was a bit of growth for them both as individuals and as a couple. Overall it was just working better for me and I felt a little more invested in finding out how Tate and Jaime finally get their happily ever after. Once again David Ross did the narration for the story and once again I was treated to a solid and dependable performance that gave me voices that easily blended with the visuals that I had for these characters. 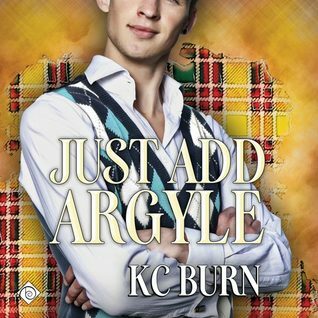 'Just Add Argyle' is the third and at present the last book in K.C. Burn's 'Fabric Hearts' series and I have to admit I'm hoping there's more to come from this series. The stories are enjoyable and there are definitely a few more characters who need to share their stories and I'm always on board to revisit characters from previous stories to see what's happening in their lives so I can't imagine that more 'Fabric Hearts' could be anything but a good thing. 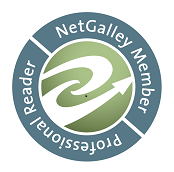 An audio book of 'Just Add Argyle' was graciously provided by the publisher in exchange for an honest review.